Casas Espania feels very enthusiastic. We want you to come and see our fantastic properties for sale in San Pedro del Pinatar - Murcia so you can discover how you can celebrate, from now on, your holidays or your retirement period. 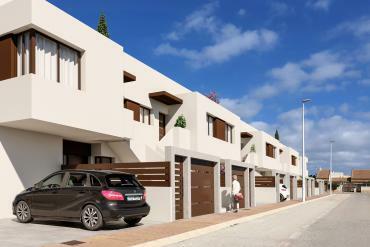 We have new construction and resale properties in San Pedro del Pinatar. Two different models of housing but that keeps the highest of their qualities, respectively. In each of them you can enjoy all the advantages of betting on the Costa Calida as your new destination: you can enjoy a spectacular annual weather. A climate that will allow you to say goodbye to bad weather thanks to its pleasant and mild temperatures in winter, and its very hot and dry temperatures in summer. Betting on our properties in San Pedro del Pinatar you can also taste Murcia's Mediterranean cuisine every day: salads, meat pies, paparajotes ... a host of typical dishes from the area that will awaken your five senses. Where can I reside with these properties for sale in San Pedro del Pinatar - Murcia? Once you opt for our properties for sale in San Pedro del Pinatar - Murcia, you will have to choose the location you prefer. You can buy your new property in beautiful areas such as: Lo Pagan, Los Imbernones, Las Esperanzas or San Pedro del Pinatar itself. At home one of them you can enjoy a home of authentic quality Some properties with areas designed for their use and welfare. Homes with private pool, with garden area or solarium to enjoy the Murcian sun to the fullest. 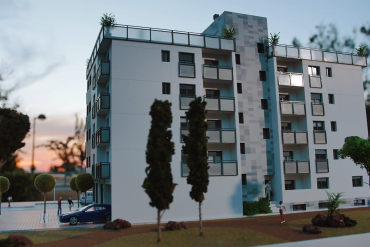 If you wish to receive more information about the characteristics of our properties for sale in San Pedro del Pinatar - Murcia, our real estate agency invites you to its office. You can come and know in detail what could be your new home. We are waiting for you at Avenida de la Libertad 102, Los Alcazares, Murcia, Spain.